What happens when you put a suicidal eighteen-year-old philosophy student, his ex-girlfriend, his best friend, and his newborn baby in a truck and send them to Grandma's house? 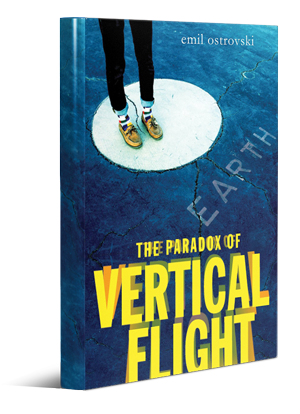 This debut novel by Emil Ostrovski will appeal to fans of John Green, Chris Crutcher, and Jay Asher. On the morning of his eighteenth birthday, philosophy student and high school senior Jack Polovsky is somewhat seriously thinking of suicide when his cell phone rings. Jack's ex-girlfriend, Jess, has given birth, and Jack is the father. Jack hasn't spoken with Jess in about nine months—and she wants him to see the baby before he is adopted. The new teenage father kidnaps the baby, names him Socrates, stocks up on baby supplies at Wal-Mart, and hits the road with his best friend, Tommy, and the ex-girlfriend. As they head to Grandma's house (eluding the police at every turn), Jack tells baby Socrates about Homer, Troy, Aristotle, the real Socrates, and the Greek myths—because all stories spring from those stories, really. Even this one. 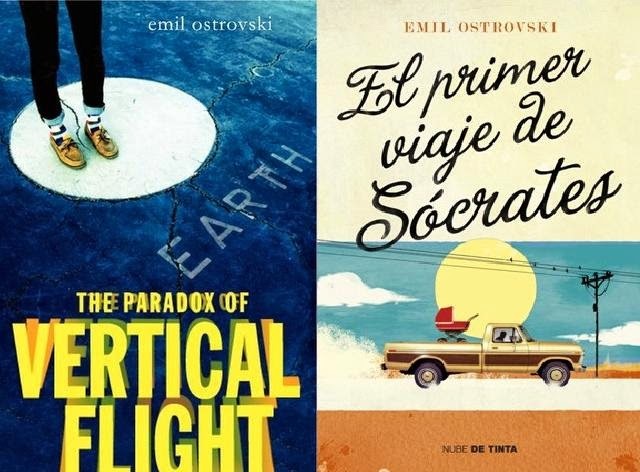 Funny, heart-wrenching, and wholly original, this debut novel by Emil Ostrovski explores the nature of family, love, friendship, fate, fatherhood, and myth. In my dream, the teacher hands out frogs, living frogs, and lectures: “Frogs produce smaller air bubbles than humans, who in turn produce smaller air bubbles than llamas. We find this out by drowning the species in question, of course. Please drown your frog and make sure to measure the diameter of its air bubbles, rounding to the nearest significant digit. Tomorrow we’ll measure the bubbles produced by our lab partners, and the day after that, the students that are left will move on to the llamas.” It makes no sense at all, but so it goes with my dreams. Some people dream of epic heroes’ quests, of saving the universe from a great evil, and I get dreams about the differentiation of air bubbles across species. I really enjoyed this book! I remember being nervous because teen parenting is one of my steer-clear topics — I usually just don't enjoy books featuring them, but this one blew me away. I was so surprised, and I loved that I loved it!